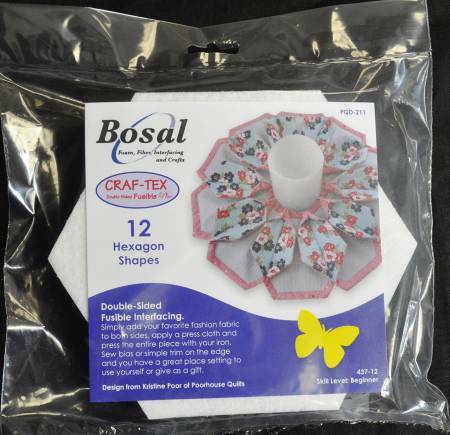 Hexagon shapes made from Craf-tex Double Sided Fusible stiff interfacing. 12 hexagon shapes per package. Made specifically for Poorhouse Quilt pattern #PQD-211.